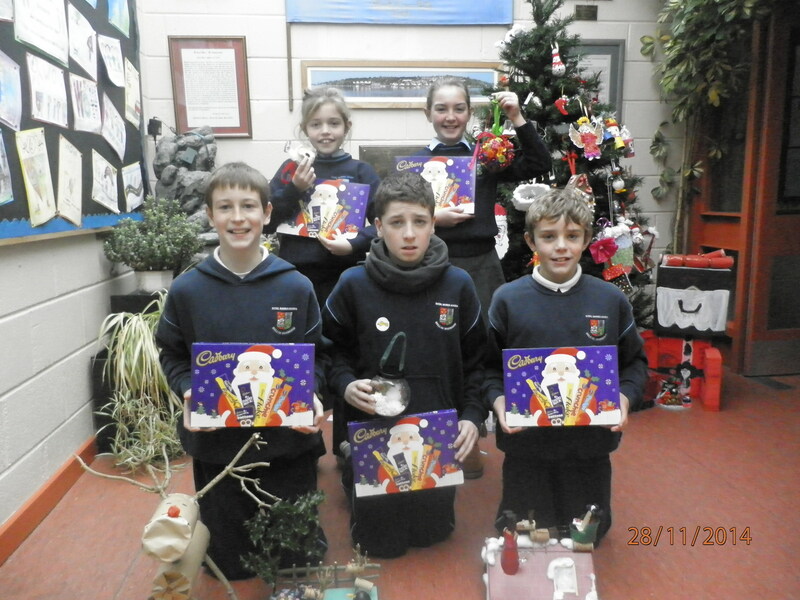 Congratulations to everyone who entered our Christmas Decoration Competition – making decorations from waste materials. The creativity involved again this year was amazing ! We were all so impressed. Choosing winners from each class was a very, very difficult task. Well done to Noah Joyce and Sean Cash (J. Infs. ), Tim McCarthy and Beth O’ Connell (S. Infs. 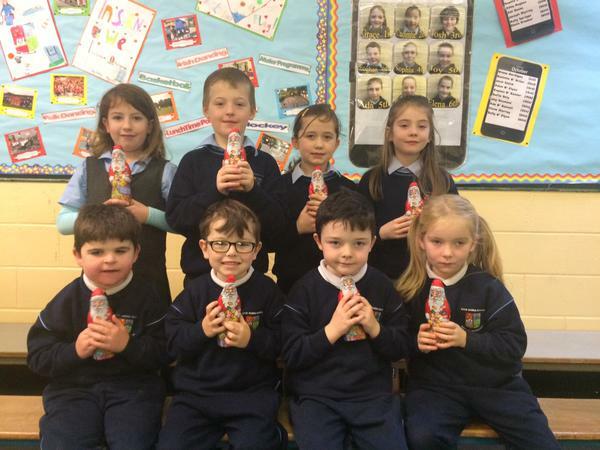 ), Amelia Ahern Breen and Cathal Lee (First), Lucy O’ Connell and Milly Ryan (Second), Maya Ryan and Robyn Murphy (Third), Aoibhinn Fitzgerald and Muireann O’ Mullane (Fourth), Glen Lyons and Zach Dinan (Fifth) and Luke Hegarty (Sixth).